Do you want to make something cool? Check out the Learning Factory MakerSpace! 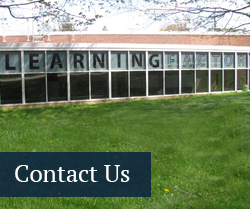 The Learning Factory’s design, prototyping, and manufacturing facilities are now open to all College of Engineering students, faculty, and staff for use on projects of their choice. Your project doesn’t have to be for a class assignment or a research program—it can be anything you like. And the Learning Factory will even cover the cost of materials! STEP 1: Take the Learning Factory’s Online Safety Quiz. STEP 2: Go to the Learning Factory and sign up for the Safety Training Course (you must sign up in person). 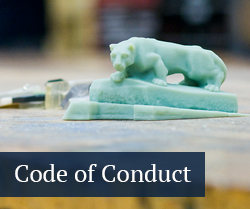 STEP 3: Complete the Safety Training Course and receive your Manufacturing Shop Certification. STEP 4 (OPTIONAL): Submit the Online Budget Request Form to cover the cost of consumables if you plan to use the 3D printer or the water jet. You’ll also need to set up a budget if you want to order materials the Learning Factory doesn't have on hand. ﻿STEP 5:﻿ Go make cool stuff! Our mission is to help bring the real-world into the classroom by providing engineering students with practical hands-on experience through industry-sponsored and client-based capstone design projects. Since its inception, the Learning Factory has completed more than 1,800 projects for more than 500 different sponsors, and nearly 9,000 engineering students at Penn State University Park participated in such a project.